Cowes Harbour Commission (CHC) is committed to providing Cowes and East Cowes (together 'Cowes') with a ‘true sheltered harbour’ that will maximise the harbour’s potential and create a catalyst for investment to deliver growth in marine services and employment for the benefit of harbour users and stakeholders. 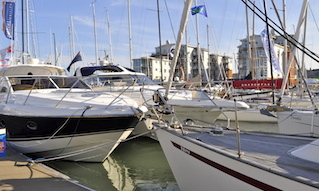 CHC also aims to take a leading role in assisting Cowes and the River Medina to strengthen and fulfil its potential as a ‘world-class centre of yachting’ and major transport and commercial gateway for the Isle of Wight. To help achieve this vision, CHC is currently undertaking a major infrastructure project, the Cowes Outer Harbour Project. Phase 1, the construction of a new outer breakwater, the Cowes Breakwater, is complete, and work is ongoing to progress phases 2 and 3, the Eastern Channel and Shrape Breakwater extension. 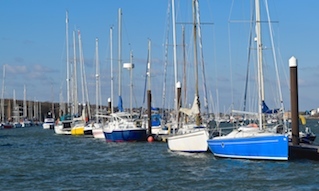 Cowes is not a natural harbour and is very exposed to northerly winds, putting vessels, businesses and homes at risk, and reducing the harbour’s ability to develop waterfront sites and provide year-round shelter to marinas and moorings in the Inner Harbour. 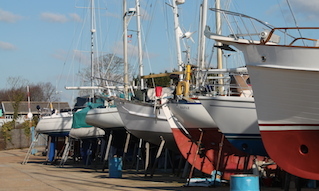 In an increasingly competitive market, the marine, boating, eventing and tourism business is vitally important to the local and Isle of Wight economy and employment. 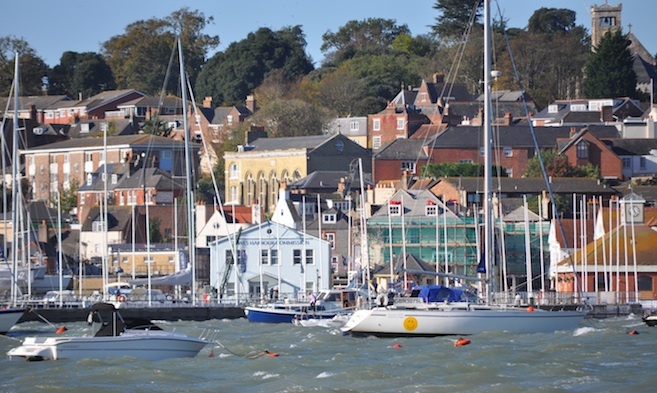 Northerly gales in Cowes Harbour have in the past, caused major damage, for example, to the Venture Quays pontoons, boats in the Inner Harbour, vessels and pontoons at Cowes Yacht Haven and Shepards Wharf Marina, and the Trinity Landing pontoons. The primary objective of the Cowes Outer Harbour Project is to create a sheltered harbour environment. 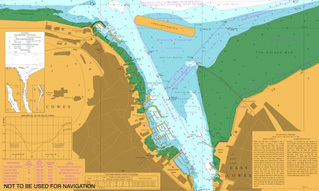 In phase 1, the Cowes Breakwater was built to provide vital shelter and protection to the Inner Harbour, including the central day class moorings, vessels in the harbour, marinas including Cowes Yacht Haven and Shepards Wharf, the Red Funnel ferries, and waterfront businesses on the West Cowes side as well as the East Cowes side of the Medina Estuary. The harbour protection programme will be completed in phases 2 and 3 with the addition of an intended extension to the Shrape Breakwater and the dredging of a new Eastern Channel.